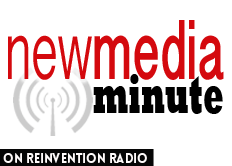 Steve, Mary, and Richard sit down with two-time New Media Summit attendee, Kimchi Chow. Kimchi shares how she’s now started her own show as a result of attending the event. The first time, she came to see if she wanted to be like an Icon. She joined the Icon Maker coaching program to help her along this path. Highly recommends the event and the pre-event training offered for the New Media Summit.